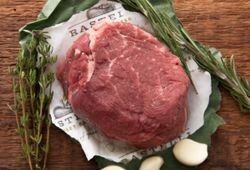 Marbled, tender and juicy with deep flavor, our Filet Mignon comes from grass-fed and grass-finished cattle raised to organic standards in South Dakota. 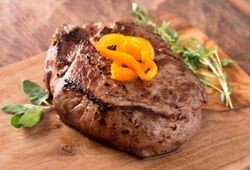 Wet aged for 21 days and hand trimmed, this is a leaner alternative to your conventional filet. Oven-cooked or grilled, it's a great steak that's good for you and your taste buds! After eating Rastelli meat I cant go back to buying any meat in stores. Rastelli meat is first ow all very tender juice'y and CLEAN meat,'it dos not smell like store buy meats. Thank you Mr Rastelli giving us the apportunity for the flaverfull meats O.G. What a great organic steak very tender and juicy. !